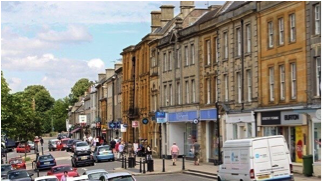 The medieval market town of Chipping Norton has recently been the subject of a project for which most of the surviving early buildings were surveyed. The evidence of the built environment, together with new research on documentary sources, has added greatly to the understanding of its development from medieval prosperity to early 18th century rebuilding. Adrienne was a Lecturer in Local and Social History at Oxford University Department of Continuing Education and is now an Emeritus Fellow of Kellogg College.